Our #1 Selling Color! Get long lasting nail color without having to use harsh “gel” nail polish. Inance Nail Polishes have the most bold, dynamic and brilliant colors. We use the most advanced chip resistant technology and we are 5 Free of harmful chemicals. No formaldehyde, no formaldehyde resin, No Toluene, No Camphor, No DBP! Just pure color that removes clean and easy and lasts longer than other nails polishes on natural nails. You will love Inance Polishes and you will never want to use another polish again! 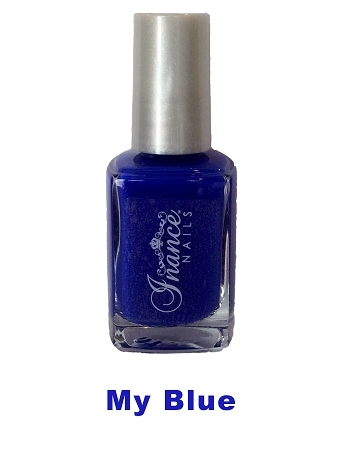 Color: My Blue -The most outstanding Blue polish you have ever seen and Tonia's Favorite color polish! Chip resistant for appx 7-10 days on natural nails.